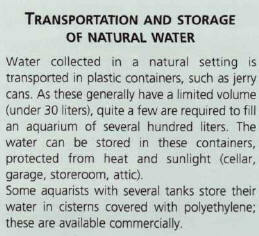 Several companies have special aquarium salts on the market, and it is even possible to find concentrated sea water. 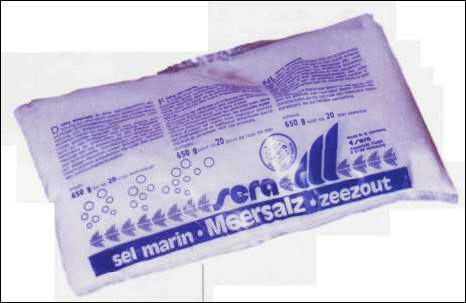 Some salts are intended for marine tanks for fishes, others for aquariums with invertebrates. Their quality is satisfactory, although there are likely to be improvements in the future, and, as they are enriched with calcium, micronutrients, and vitamins, they are obviously relatively expensive. There have been no adverse reports to date about the use of these salts in aquariums: in those areas where accidents do occur, they are usually due to miscalculations on the part of the aquarist. Fill the aquarium with fresh water and aerate it for 24 hours. Calculate and weigh the quantity of salts to be dissolved, then introduce them into the aquarium. Then just aerate for another 24-48 hours and check the density, adjusting it as required. 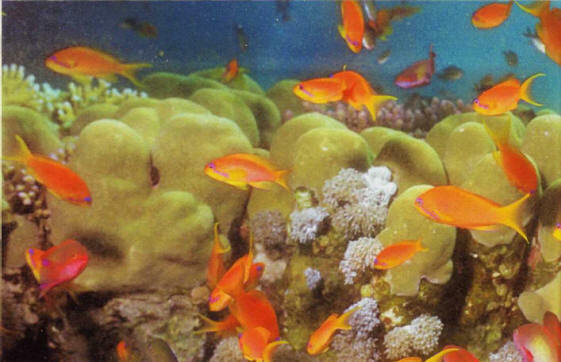 Artificial sea water can be reconstituted with the help of special salts available in aquarium stores. The method is the same, except that plastic food containers are generally used. The quantity of salt can be multiplied by three or four to manufacture concentrated water that will therefore occupy less storage space. Part of the water is siphoned off - this can be stored for later use - and the softest water available is added, taking care to measure the density. When the water level of a marine aquarium goes down because of evaporation, it is not the sea water which is evaporating but the fresh water, and it is therefore the latter which must be added to make up the level. The addition of sea water would entail an increase in density. In this case, salts must be added. These must be dissolved beforehand in a container which is then gradually emptied into the aquarium, with constant checks on the density. Both these operations must be performed with care if the aquarium already contains fish, in order to avoid causing any excessively abrupt changes that could be detrimental to the fish. 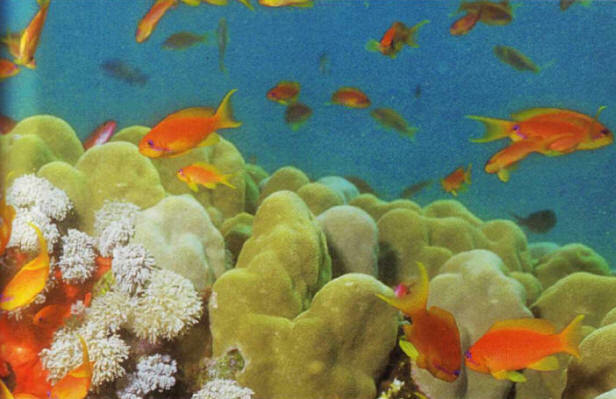 Artificial sea water, reconstituted with commercially produced salts, creates an environment that is perfectly suited to fish.